Doors are everlasting metaphors for the friends, paths, and changes. Should one of us dare to count how many doorways we cross in our lifetime? Sometimes I get curious what simple things like doors symbolize? I personally think they are chances. While sipping on my juice (pomegranate and orange) and I’m feeling full of gratitude for this season, I find myself in a reflective mood today. You never know what awaits you on the other side until you cross a doorstep. I intend to walk you through the decors of fifteen stunning front porches. If you’ve been too busy lately and haven’t celebrated properly the arrival of the fall – you stumbled upon the right place. A door is nothing but a blank canvas and it is full of unrealized potential. If you’ve been too busy lately and haven’t celebrated properly the arrival of the fall – you stumbled upon the right place. A door is nothing but a blank canvas and it is full of unrealized potential. Let’s go even further than that, shall we? 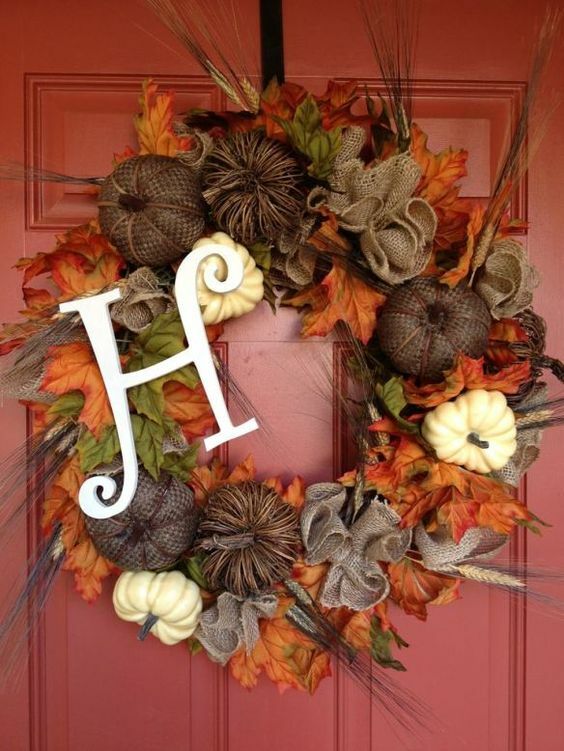 Whatever you hang on your door is what your home and personality reflect. In a way, you notify neighbors, passengers, and strangers that you care. 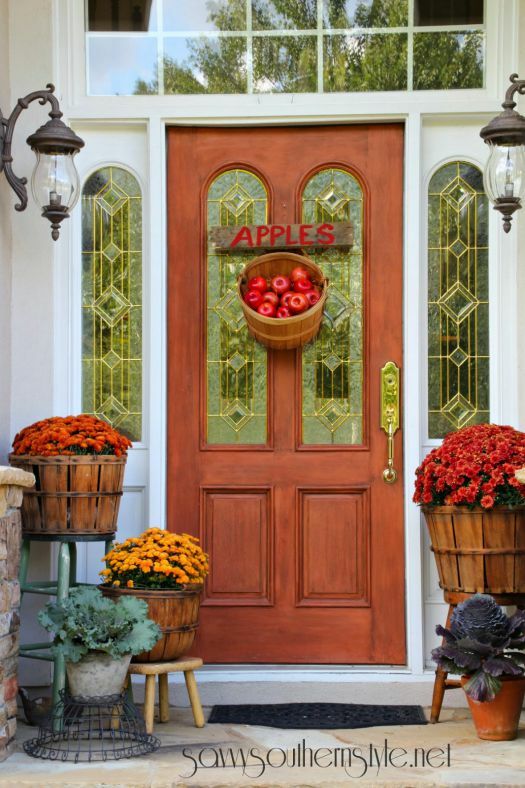 You need a fall front door decorations that stand out! You can read the message that each decor sends out to the world below. Create your best porch design while looking for the insights and the lovely design takes of others. Let me assure you, though that there are no mistakes. There’s an endless play when it comes to decor. In a way you notify the neighbors, passengers, and strangers that you care. You can read the message that each decor sends out to the world below. 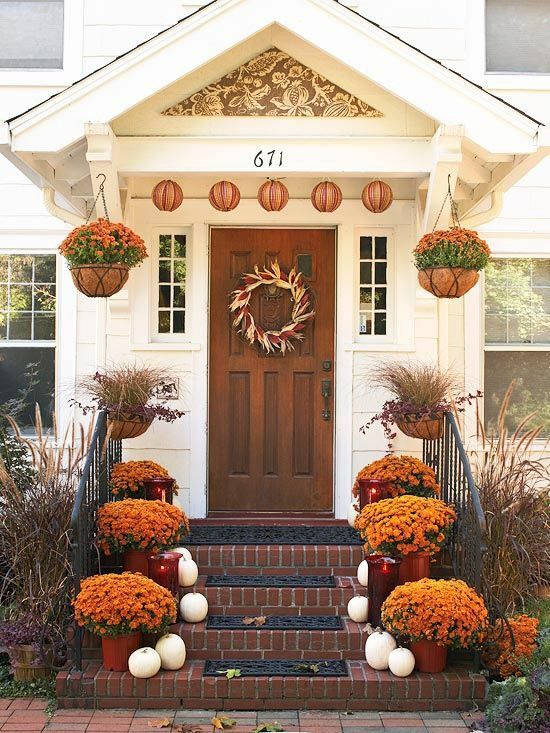 Create your best porch design while looking for the insights and the lovely design takes of others. Let me assure you, though that there are no mistakes. There’s an endless play when it comes to decor. “I hopped on the train of autumn and I am feeling it.” Flowers in the fall are the mysteries of life with their orange, flaming red and purple colors. 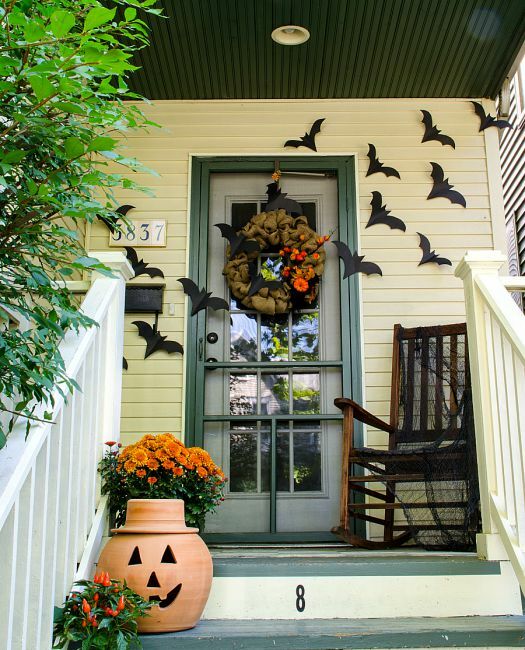 Hang them up high on the front porch and lay buckets of flowers on each footstep. A truly friendly neighbor is not ashamed to be outspoken, too. Now, if the flower petals at design numero uno are not your personal preference, you can just state who you are by a sign like this and hang the classic wreath. 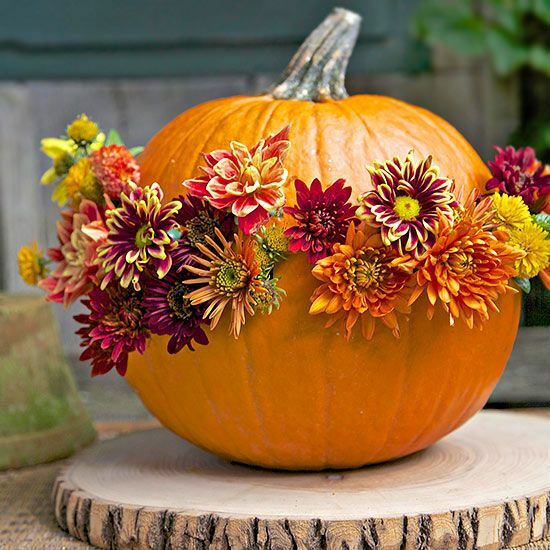 By creating a super easy to make flower wrath and gracing the full-figured pumpkin ( carved pumpkin ) with it like a crown, you do make a statement. In this case, it’s not about more or less, it’s about who wore it best! “I’m a goodie and I like to see more of you”, says this door. Now the red apples may possibly bring some fairytale associations and biblical references but don’t distinguish your desire to give to others simply because of those. Plus it can be persimmons, you know? “I’m well aware of my manners, I’m greeting you, but my simplicity is no indifference to others.” Classics much like cliches are classics for a reason. 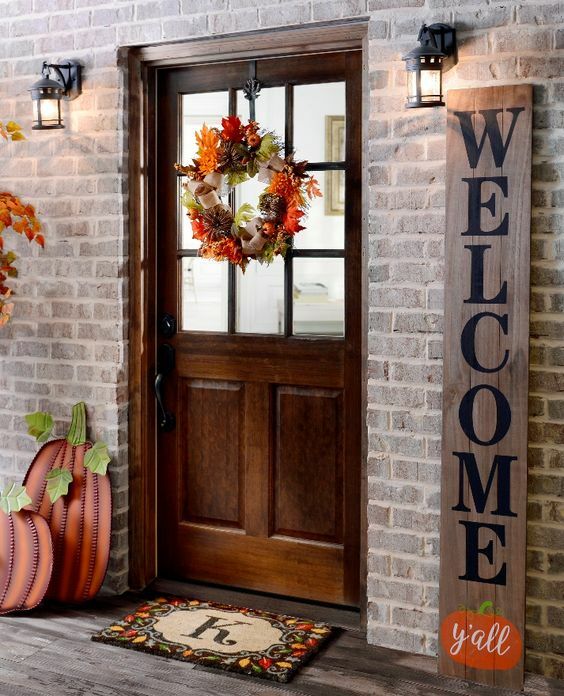 You don’t need to go overboard and hang simple greeting signs. That would be enough, too. “I will set your mood, I’m smiling on the inside and now you know.”, says this magnificent decor. I love the fact that lights are no longer associated only with Christmas but grace trees, doors, and front porches. That’s my door. 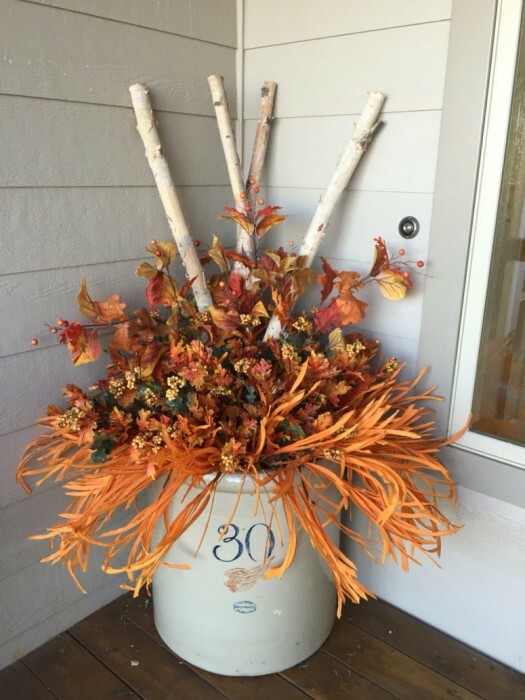 “I am creative and I visit my basement for jewels regularly.” This bucket is a thing of beauty when you attempt to turn it from a simple container into a flowery decor hoopla. Grab some branches that fell from the trees in your yard and you’re done! 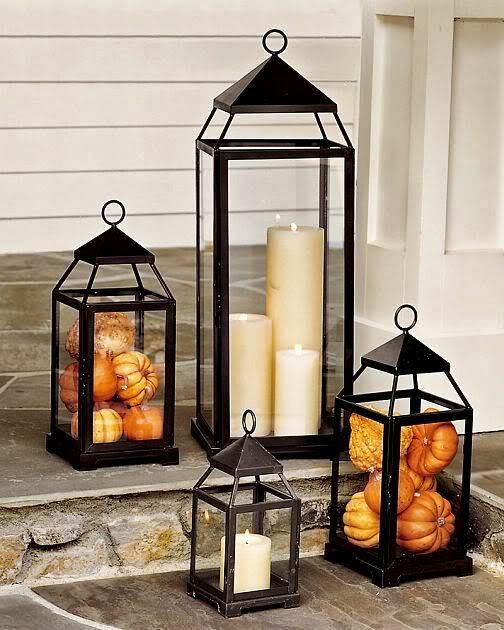 Grab a few standard candles with different heights, find a lighthouse each and let loose. It’s so great because right from the first look at your home the visitors will know they are here to unwind and in for some wine. 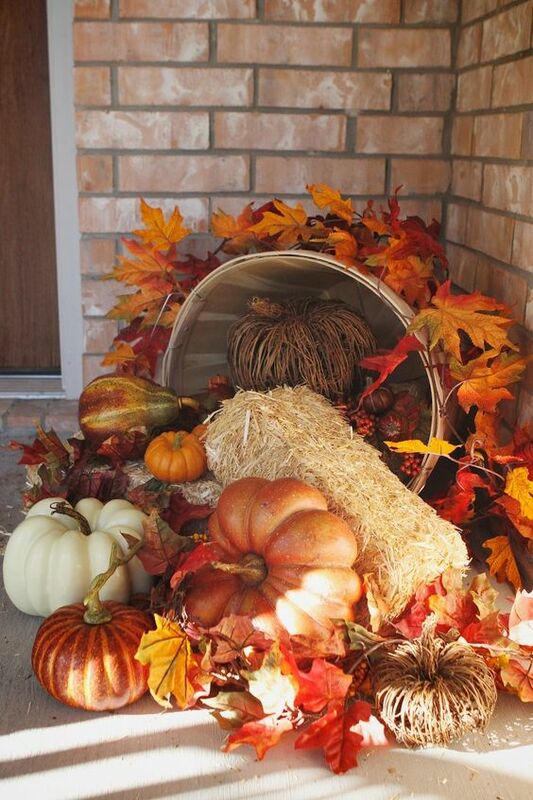 If you do like to keep it classic, a huge wreath with assorted objects that speak of the fall is a lovely choice. Grab your best brushes and some black paint and get ready to create a beautiful cursive. Handwriting always shows extra care and personality. You can decorate the pumpkin without carving. 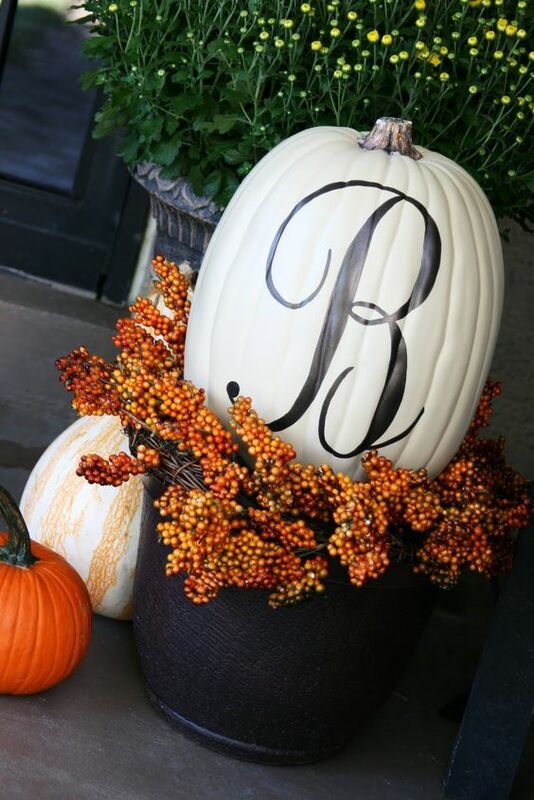 I love the idea you can actually draw words on anything – including a pumpkin. The fuller the front, the fuller the inside of the house. Spark the abundance and then let it flow into your home. 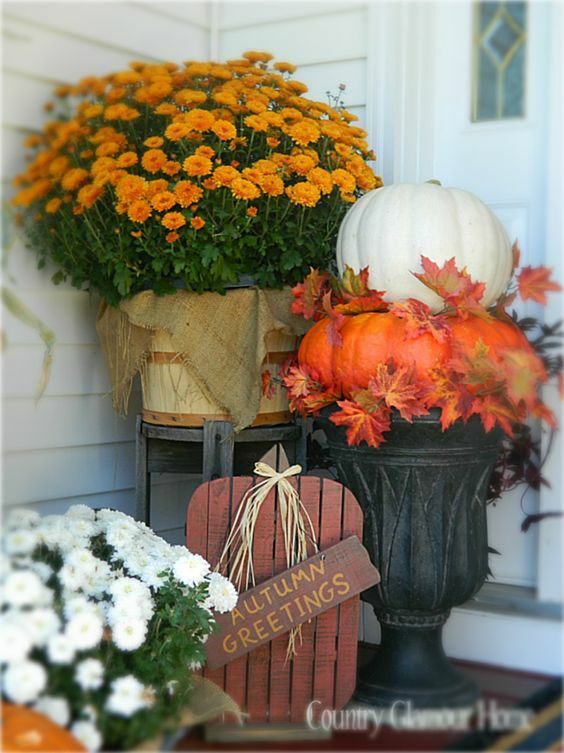 Take all buckets, flowers and generously decorate without holding back. You are saying welcome to the right people. Spread on the floor all the things you love and fall is gifting us with. 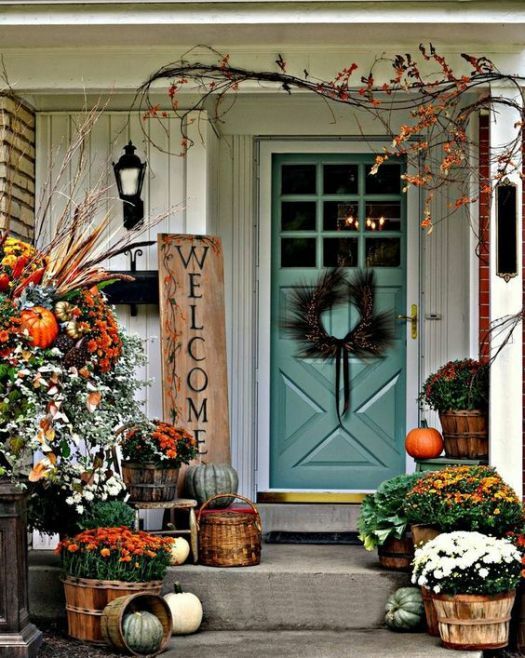 It is artistic and creative natural view of your front door. It surely won’t take long and you won’t compromise any of the esthetics. You will compliment, however, everyone who stops by. 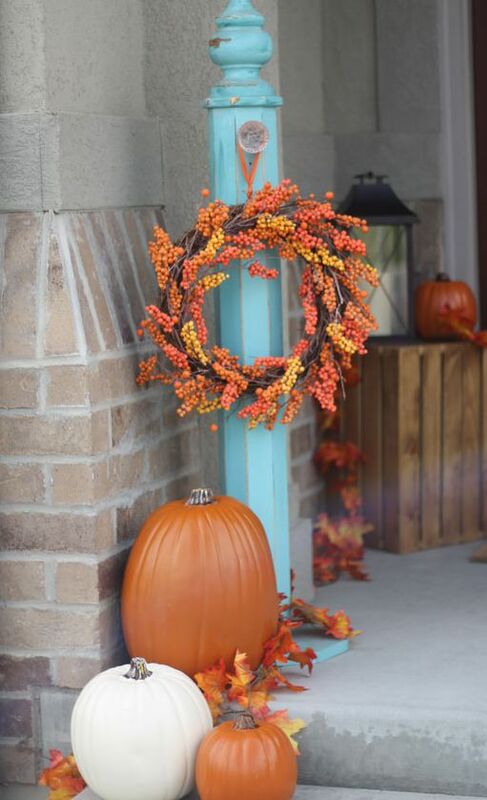 You may have a darker color door, but this is actually a great background for some color. 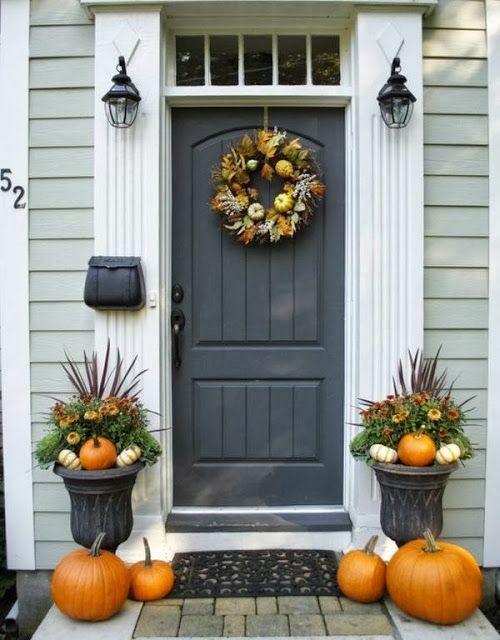 Orange seems to refresh this door and the symmetry still speaks of the owner in a quiet tone. A tidy doorway equals a great organizer`s touch. This is pretty spectacular of a view. The dark net on the chair, the blooming flowers, and the chile peppers outside are definitely thrilling. However, the bats flying over and paying a visit are simply the best. That what I call a porch with a character. Well, this front porch reminds me a lot of my great grandmothers. The wooden parts painted in blue were classically present in one of the houses. 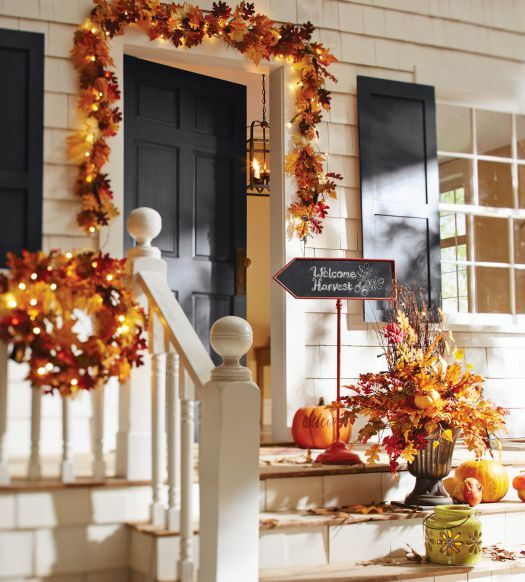 Casually spread leaves on the stairways that were always clean and expecting new guests. When I find myself reminiscing a bit, I realize that these women were actually decorating their homes with so much love, over a hundred years ago. Lots of the inspiration in magazines can be found when you flip through a very old family album. Or your own beautiful memory for that matter.